Home Malaysia ringgit Govt may replace Ringgit notes design? Govt may replace Ringgit notes design? 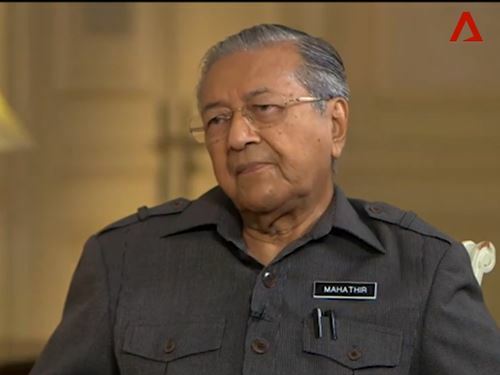 Prime Minister Tun Dr Mahathir Mohamad said in an interview with Channel NewsAsia yesterday that Malaysia is looking to replace the current currency notes with new ones to combat corruption. The move will hit black marketeers and those who use black money hard as they were not able to move the notes openly as they were no longer accepted as legal tender. “You have to study the effects on the economy,” he added. Malaysian netizens talk about new banknote designs since May this year, a banknotes design by Muaz Muhammad from Seniyati Studio in 2015 gone viral in Social Media as Malaysia New Banknote design. You can read about it in my blog post; Cerita wang kertas baru Malaysia. Current design of the Malaysia banknotes was announced on 21 December 2011, and the notes put into circulation into circulation from 16 July 2012. The fourth banknotes series comprises denominations of RM1, RM5, RM10, RM20 and RM100. The RM20 banknote is reintroduced in this new series and polymer substrate is used for the RM1 and RM5 banknotes. The RM50 banknote has been issued since December 2007. If Malaysia change to new banknote design this year (2018), that means the fourth banknotes design only have a life span of 6 years. Do you know how many billion Ringgit banknotes already printed and in circulation today? Government need to print the same amount, exchange the banknote and put it into circulation. It will cost a lot of money to design and to print new Malaysia banknotes, in this current economic situation, I don't think Malaysia can afford it. You can watch and read the original interview by Channel NewsAsia here; Changing currency an option: Mahathir.